If your seat is leaning back too much, is twisted, or is wobbly, chances are your seat frame is cracked. This is both uncomfortable and dangerous. 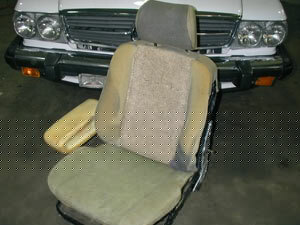 If this is the case, we can remove the upholstery and foam, then reweld and reinforce the frame. Sometimes it is even the manual or power base under the seat which is cracked and causing the excessive play in the seat. 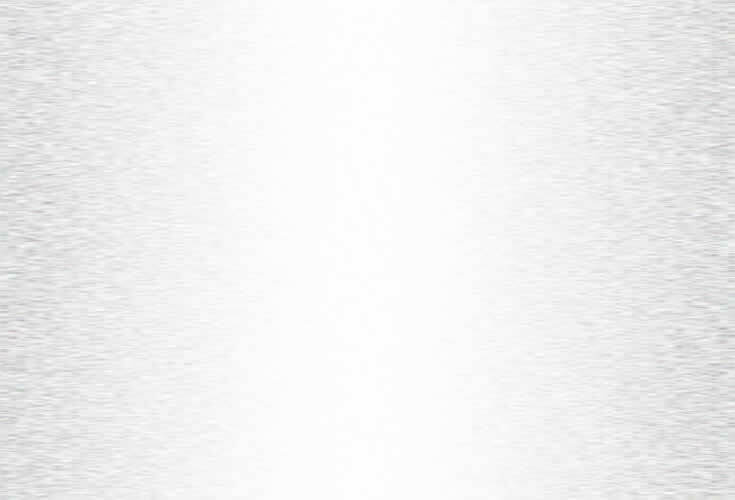 These bases can also be replaced or repaired, as can the electric functions of the power bases. Like upholstery, seat padding also degrades over time, often leading to discomfort. Many times, people feel like they're sitting in a hole because the bttom cushion has sunken in so much. If the padding is totally shot, we can replace it. If it is not that bad, we can regenerate it and supplement it, thus building it back up again. 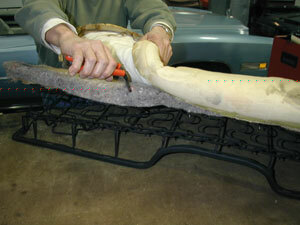 Naturally, the best time to renew the padding is when we are already taking the seats apart to do upholstery work. If you have a newer car, you may have found that the seats are giving you an unexpected pain in the back. If you traded the car back in to the dealer you would lose thousands of dollars. If this is the case, we can alter the firmness, shape and support of the seat to make you more comfortable. 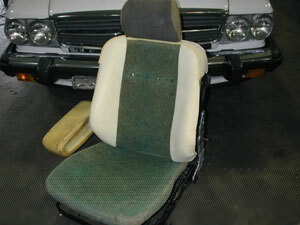 The original upholstery can either be reused as is, or altered to fit the modified shape of the padding. Experiencing lower back pain while driving is a common problem. If the pressure in your back is too great, we can reduce your seat’s lumbar area. If you need more support, we can add to your seat’s lumbar area. Lumbar supports are available as additional fixed foam, manually inflatable air bags, or factory style electrically inflatable air bags. These lumbar support options are all installed under your upholstery so they are not visible, and can be retrofit to any seat. Heat is therapeatic and feels awfully good on cold days. Seat heaters can also be retrofit into any seat. They are hidden under the upholstery and wired directly into the fuse box. Factory style control buttons are installed, usually in the lower side of the seat housing, allowing for high, medium, and low self regulating settings. And just in case you forget to turn it off, the seat heaters will shut off with your ignition. Just as seat heaters warm you up on cold days, a seat ventilation system will help cool you down on hot days. We actually install fans under the foam and upholstery which circulate the heat out of the seat and away from your body. Everyone loves a back massage. Now you can get one in your car! For the ultimate in comfort, especially for those with back problems, we can install massage units under your foam and upholstery. This gentle, soothing massage will help wisk away most back pain associated with long rides in the car.